Hotel Green Residency 2 is a modern property with bright and comfortable rooms, located on Jharsa Road of Sector 31, Gurugram. The property is located close to NH8 and the Rose Garden, which lies across the highway, the Citizen Park and the Community Market. Hotel Green Residency 2 is a well-decorated residency with cozy rooms. The rooms of this hotel are decorated with modern stylish furniture, flower vases, and much more. Every room of the residency has a balcony. 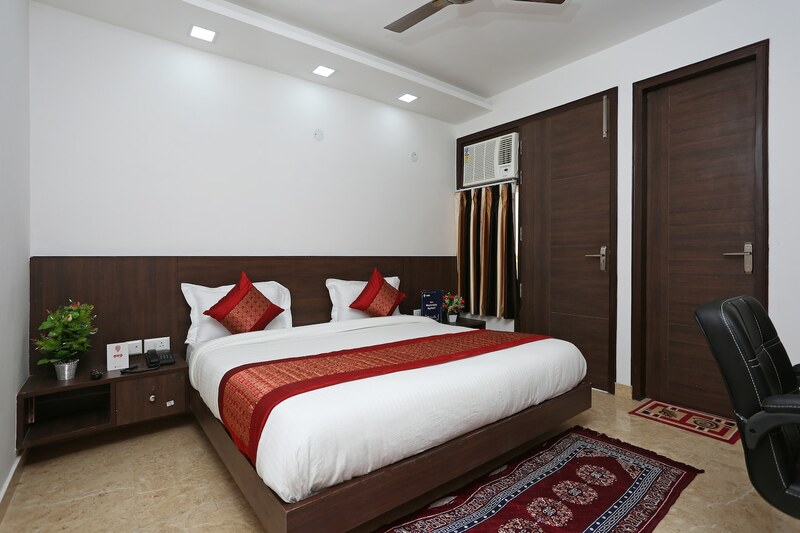 All the rooms of this residency feature a television and an air conditioner and guests are provided with free Wi-Fi, laundry service, and CCTV backup. Hotel Green Residency 2 accepts card payments. Iyo, Spice Grill Flame, Cafe Lungta, and Capital Restaurant are some restaurants in close proximity.